At Orchard Trailers, we believe service is really about safety. Specifically, the safety of your family and horses. You see, proper maintenance and service keeps your trailer working at peak performance, and that keeps you safe. Our team of friendly and knowledgeable service advisors are here to handle all of your RV repair and maintenance needs. From frame repairs to fixing a leaking roof or troubleshooting electrical issues, our professionally trained technicians will get your trailer or motor home fixed and back on the road. 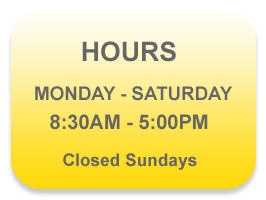 Our goal is to assure your complete satisfaction in a timely manner. Trailer chassis and axle service, including brakes, axles, bearings, and suspension. Electrical service including wiring, troubleshooting, solar installations, and customization. Fabrication services, including modifications to interiors of horse trailers. We can handle all manners of aluminum and steel welding. Appliance services, including major repairs to air conditioners, furnaces, refrigerators, and electrical components. Winterization and de-winterization services. Not sure if your trailer is ready for the camping season? Not sure if your camper is ready for winter storage? This service can be completed while you wait in most cases! Call us today. Plumbing and water system service: Whether you need a replacement sewage tank, or have a split water line, we can help! Hitch installation and wiring on any make and model of vehicle, including brake controllers, fifth wheel hitches, gooseneck hitches, and receiver hitches. We install and setup all types of weight distribution hitches and sway control systems. Installation of airbag systems and suspension enhancement systems on trucks, including Airlift & Timbren brands. Camera system installation, including interior and exterior cameras for horse trailers, and reverse & side view cameras for RVs. Give us a call today to schedule your service. We will do all we can to make sure you are taken care of. Reese, DrawTite, & Bulldog hitches of every type. Feel free to call of our friendly parts & service advisors for assistance with your specific parts needs.